Smart Design, Premium Quality Made in Italy. 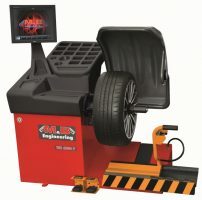 Tyre Changer and Wheel Balancer 2 Units in One fitted in a Van or Light Truck for tyres from 13″ up to 26″. Popular in Europe and Usded by Largest Tyre Suppliers in Australia. New electro-hydraulic tyre changer designed for mobile service to operate on truck, bus and car wheels up to a diameter of 26 “. ALWAYS IN LINE working system: thanks to this system the roller and/or the M/D tool work always in a perfect position without damaging the tyre and the rim. 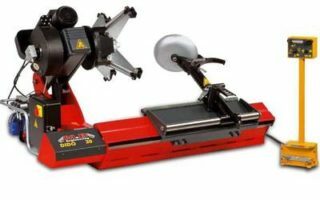 Demounting and mounting system with roller (quick procedure). LL demounting system (Lever-less) with finger for extremely wide wheels (super single). Mounting procedure with finger to prevent ant damage to the bead. Stand-by function: the electric motor stops automatically when the machine is not in use to reduce energy consumption and noise. 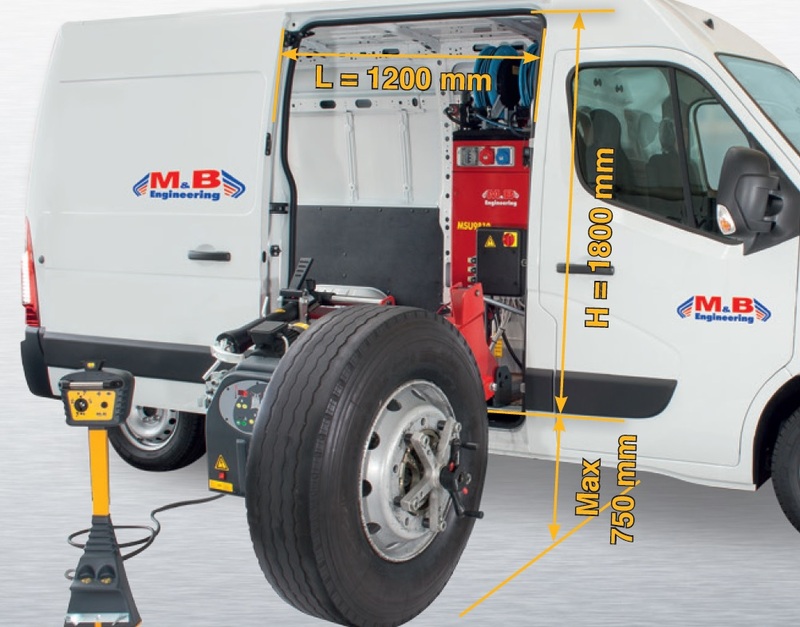 Emergency hand pump: this system ensures that the working unit returns into the van in case of failure in the electric/hydraulic system. Security Micro-switches: they prevent any damage to the equipment and to the van. Control unit: practical, ergonomic and quick to use. Car wheel demounting with finger without any contact (optional kit). 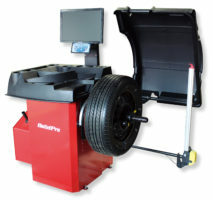 New digital hand-spin wheel balancer designed for the mobile service. 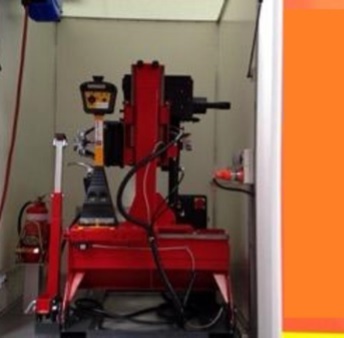 It ensures the perfect dynamic balancing of all truck, bus, van and car wheels thanks to the application of the 2 weights. 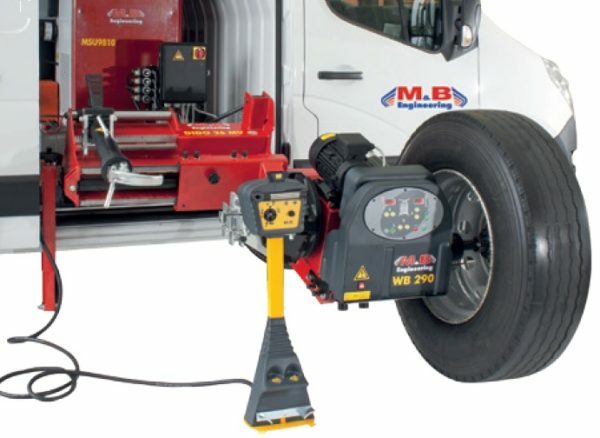 Fitted on the tyre changer side (2 in 1 system, patented by M&B), it provides a complete wheel service with reduced space requirement and weight. 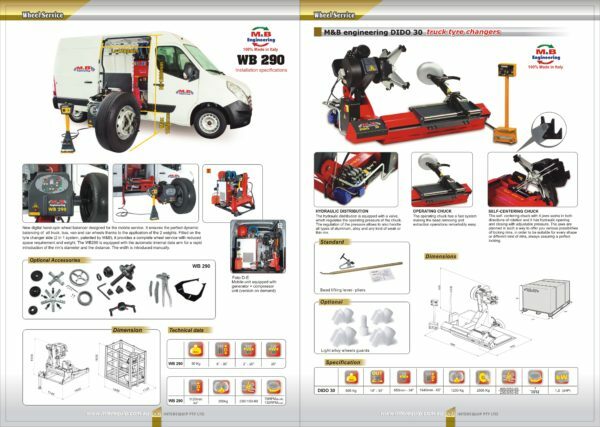 The WB290 is equipped with the automatic internal data arm for a rapid introduction of the rim’s diameter and the distance. The width is introduced manually.